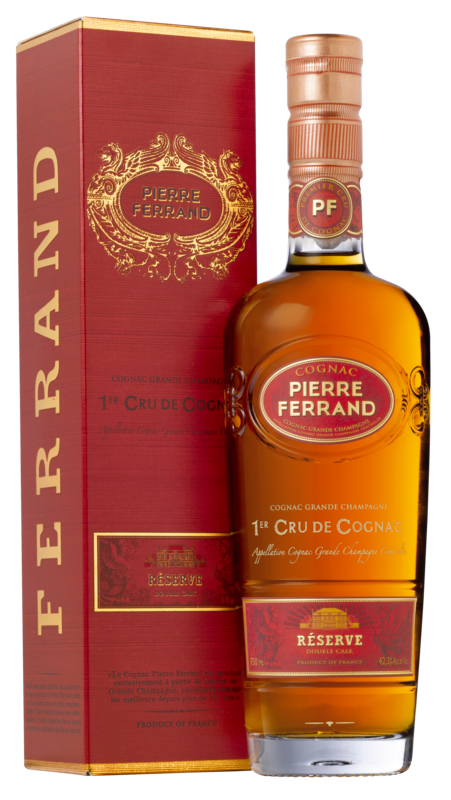 The vines that give Pierre Ferrand its distinctive style are planted on the Angeac terroir in the heart of Grande Champagne, considered the Premier Cru de Cognac. Angeac-Champagne is part of what connoisseurs call the “Golden Triangle”, a highly reputed micro-terroir comprising the best parcels of Grande Champagne. The extremely chalky soil of the rolling landscape gives the grapes the qualities and the necessary acidity to make very good wines that will produce very fine cognacs. At Logis d’Angeac, the critical distillation process takes place under the watchful eye of the fifth generation of cellar-masters. 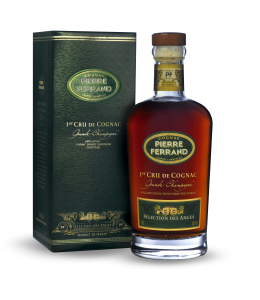 Pierre Ferrand cognacs are distilled slowly, in small pot stills with a 25 hectolitres capacity and featuring a distinctive onion shape head, which helps concentrate the aromas and flavors from the wine distilled on fine lees. Particularly rich in fruit aromas, the unfiltered lees help to give the raw spirit body and flavor, elements that will mature and come into their own during the aging process. The fresh “Eau de Vie” is collected from the still and aged in small oak barrels kept in seven different aging cellars – some dry, some humid – at Logis d’Angeac. The thick limestone walls, specific location of the cellars and type of floor (earthen floor in the humid cellars; cement in the dry cellars) all help to ensure the necessary coolness and moisture needed to maintain constant humidity for perfect aging. 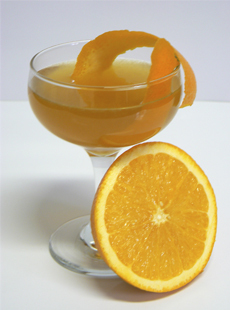 During the aging process, Pierre Ferrand cognacs spend time in various types of cask, of different ages and “toasted” to different levels, in order to avoid excessive bitterness caused by exaggerated tannins or oak. The properties of each cask contribute to the important exchange that occurs during aging between the cognac the air and the wood. 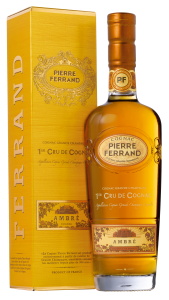 Pierre Ferrand cognacs owe their personality to more than just terroir, grapes, distillation, casks or slow aging. 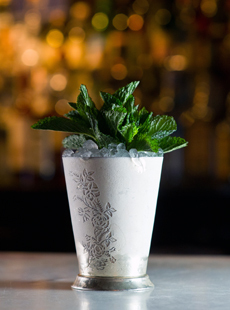 They also derive their distinctive character from the subtle and precise art of blending. At Logis d’Angeac, five generations of cellar masters have passed on their accumulated knowledge to their successors. Blending is highly skilled work. It takes years of practice and a great deal of talent and intuition before the blender is able to choose the spirits that will best complement each other and come together in perfect harmony to create an incomparable cognac. Only available in limited quantities, Abel offers true complexity through its blend and aging. 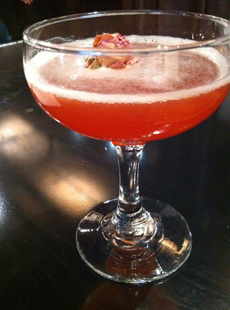 It manages to highlight the character of each eau-devie included in its concoction. 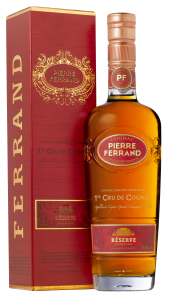 Richness and subtlety are the two words that define Ferrand Abel cognac. Long ago, in the 19th century, Cognac producers such as Elie Ferrand (8th generation) used a variety of casks to create a fascinating range of taste and complexity. 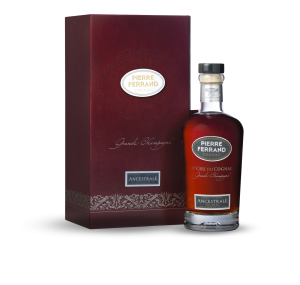 Reviving this forgotten tradition, Ferrand Réserve is first aged in classic Cognac barrels and further matured in Banyuls barrels. This ancient technique creates a one-of-a-kind cognac that highlights the myriad nuances of the legendary “Rancio Charentais” with aromas of nuts, prune, and spice. Complex and meditative, it is the perfect sipping Cognac. As the nose develops, aromas of Ambré celebrates the fine notes of flowering vines, pear, and plum, which are, typical of a great Premier Cru de Cognac. To achieve this level of complexity and finesse, Ambré is distilled from the traditional Ugni Blanc grape and the rare Colombard grape which delivers intense and delicious floral notes. Quercus Sessiliflora oak barrels add subtle notes of vanilla and a beautiful ambré colour. 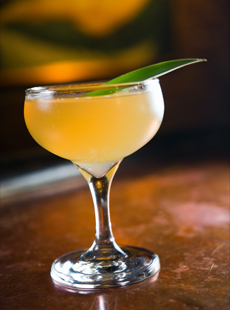 In the 19th century, when the modern art of the bar was born, no spirit was more prized for mixing drinks than cognac. 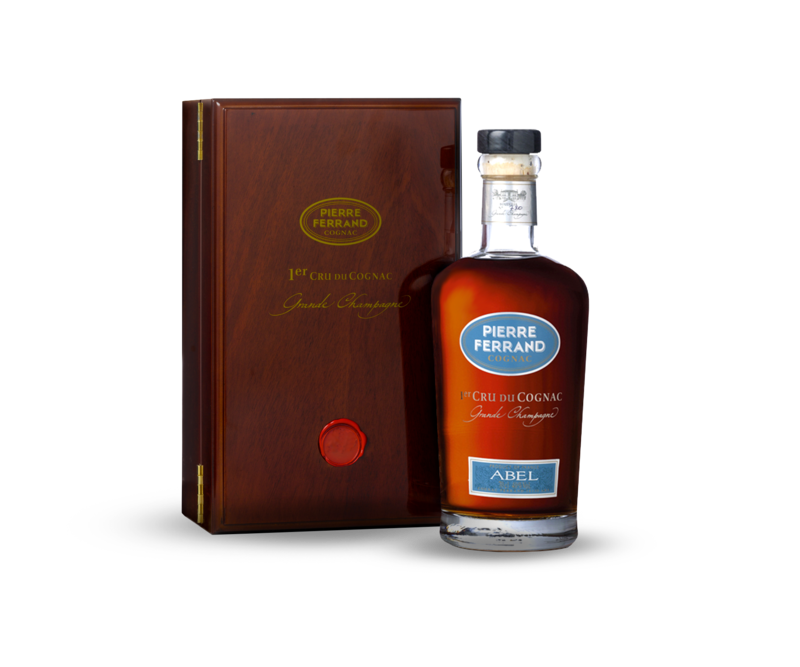 Ferrand 1840 Original Formula represents our attempt to recreate the kind of cognac that the pioneers in the bars used during that period. Modeled on an extraordinarily rare 1840 bottle of Pinet-Castillon Cognac, and made with the blending techniques from this era, it is rich, concentrated and highly mixable, in the 1840s style. 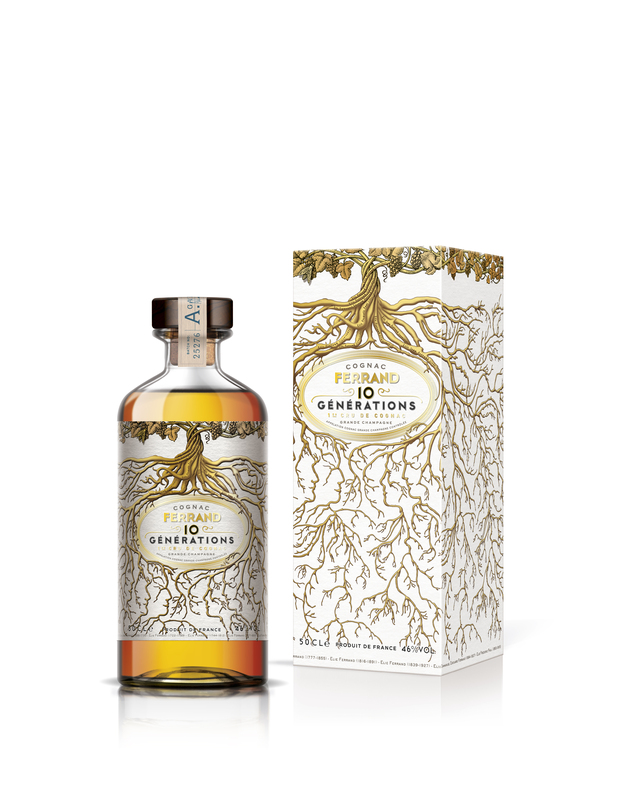 Since 1630, in the heart of the vineyards of Cognac, 10 generations of Ferrands have passed down an abiding knowledge of the vine and of distillation. This Premier Cru de Cognac is a tribute to these men of character, for whom a great cognac was above all the fruit of patient work on a great terroir. 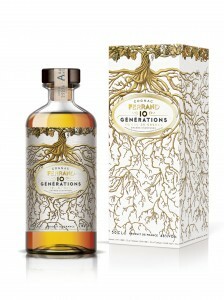 Grande Champagne Cognac, 10 Générations is only made with Ugni-Blanc grapes. Distilled slowly on fine lees, it is aged in French oak with 20% in Sauternes casks. 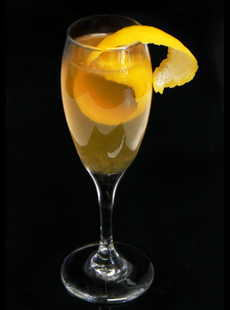 With freshness, it is an opulent Cognac.